SISKO: Competition. For fun. 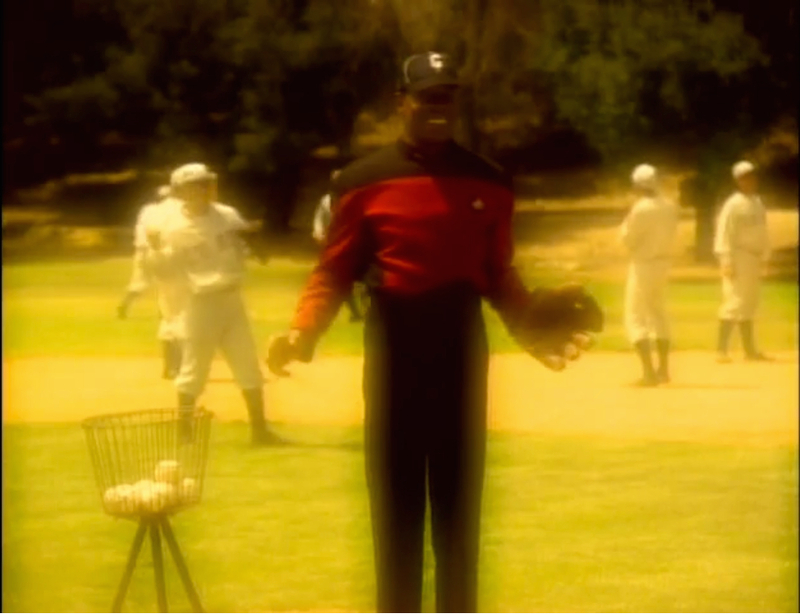 It’s a game that Jake and I play on the holodeck. It’s called baseball. SISKO: I was afraid you’d ask that. I throw this ball to you and this other player stands between us with a bat, a stick, and he, and he tries to hit the ball in between these two white lines. No. The rules aren’t important. What’s important is, it’s linear. Every time I throw this ball, a hundred different things can happen in a game. He might swing and miss, he might hit it. The point is, you never know. You try to anticipate, set a strategy for all the possibilities as best you can, but in the end it comes down to throwing one pitch after another and seeing what happens. With each new consequence, the game begins to take shape. SISKO: That’s right. In fact, the game wouldn’t be worth playing if we knew what was going to happen.